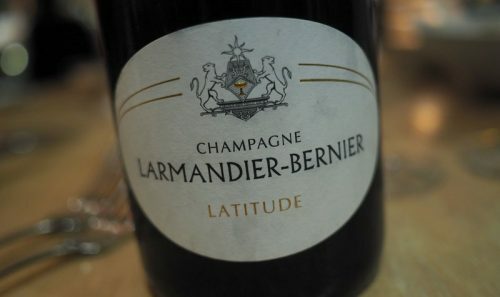 Larmandier-Bernier is one of the leading lights of grower Champagne. The domaine, which consists of 15 hectares of vines in the Côtes des Blancs, is farmed by Sophie and Pierre Larmandier, who took over in 1988. In 1992 they began farming organically, and in 1999 they started working with biodynamics. The old vines (average age of 33 years) and organic farming result in wines of real intensity. This wine, Latitude, used to be known as Tradition, and is a non-vintage bottling with 40% of wine from a perpetual reserve that they started in 2004. It’s fermented with wild yeasts in a mix of oak casks and stainless steel, and the dosage is 4 g/litre.